I’d first listened to Gotye back in High-School when my friend found out about them through the internet. I was reluctant at first to try the new music, since I fell in love with rap music during my High-School days. Gotye is an indie multi-instrumentalist that makes electronic music. I’m not sure if the relevance of my info is correct, but there appears to be more than one person making the music, however the singer is one person alone. Wouter “Wally” De Backer, the main and if I’m not mistaken, only guy behind the composition of the songs, was born in Belgium, however, had moved to Australia during the early days of his childhood. An avid fan of Depeche Mode, one could easily see with the music he does, where much of his inspiration comes from. The first song I’d listened to from Gotye, was the song “Heart’s a Mess”, the third track, and my personal favourite from his second album “Like Drawing Blood” (the first being “Boardface”). From the odd music video to the simple tune and beat of the song, “Heart’s a Mess” could easily be claimed as one of the most brilliant works of music ever produced. With the rest having a rather jolly or considerably trippy feel to the music; this one song had touched my heart more than most songs out there in my over three-thousand song collection. An example of the more “trippy” style of his electronic beat and instrument juggling would be his song “Learnalilgivinanlovin”; the sixth track on that same album. With a catchy beat, and a rather odd set of treble-high sounds, the song had gained a lot of popularity, especially through the movie “Going The Distance”, where it featured. Going back to “Heart’s a Mess”, it had garnered my favour considerably with the amount of power in the simplistic lyrics that could be clearly understood by the first time one would listen to it. Thought provoking lines such as “Let me occupy your mind, as you do mine” attract me severely up to the point of inspiration. It would, however be negligible to buy an entire album for the sake of a single song, but in this case, it would make a very powerful exception. Unlike most regular artists of late, Gotye features lyrics that carry a sort of profound essence, whilst maintaining a relatively playful beat. Especially with the higher tones, the most emotion-provoking songs from Gotye have almost a jolly atmosphere with the ominous backdrop of a rather malevolent nature. All of these, encompassed, produce the distinctly loveable sound that defines Gotye. 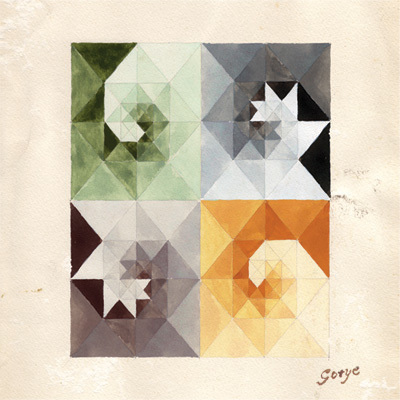 With the release of his latest album “Making Mirrors”, Gotye comes back to life with the same style, except increasing the amount of songs relative to the theme of “Heart’s a Mess”. With the seemingly normal music video of his song “Somebody That I Used To Know” (from “Making Mirrors”) featuring the, also indie, artist Kimbra, Gotye dominates the style of music he produces. Again, the lyrics are well crafted, as well as the playful connotation with the beat, reviving the essence of “Heart’s a Mess”, the song “Somebody That I Used To Know” may very well be the aftermath of the aforementioned song. Listening to them in sequence, one could see the two as each a half of a constellation. The only thing left for the listener to do would be to connect the dots. The next on the list would be the song “Eyes Wide Open” from the same album as “Somebody That I Used To Know”. Changing his style a little bit, from the two songs mentioned above, “Eyes Wide Open” features a catchy tune, obviously electronically generated, and comparable lyrics to that of “Somebody That I Used To Know”. Not the best, however still one of my favourites, garnering the third place on my list from Gotye. Truth be told, the two songs (“Somebody That I Used To Know” and Heart’s a Mess”) mentioned in this article may have been the mother of two or three of my short stories and poems. I expect more great music from this artist in the months and years to come, currently leaving me with a good 4.95 out of 5 stars (rather precisely). There’s no overuse of much dramatic effects, just plain good music to help one think, or, more appropriately, feel the emotions that, although are relative with regards to each person, we all go through. I would, however, recommend the purchase of the album “Making Mirrors” to support this great artist. If not, you can check the links below for the music videos of “Heart’s a Mess” and “Somebody That I Used To Know”. I’d give you a standing ovation any day, Gotye. I hope you continue the music.